The fastest zipline in the Philippines is in Puerto Princesa, Palawan. It lets riders go up to16 meters per second for a total of 22 seconds. Imagine the rush as you’re zipped through the air at sixteen meters per second. Pure adrenaline for 22 seconds! It’s longer than you can scream! That’s ziplining at Ugong Rock Adventures—the fastest zipline in the Philippines. We requested for the van to bring us here after the Underground River tour. Ugong Rock Adventures is in Bgy. Tagabinet. After a brief orientation from the staff of Ugong Rock, we were advised to put on our heavy-duty gloves and helmet. Funny how we tried to match the helmets with our outfits. But before we reached the jump-off point for the zipline, we had to climb up the cave to get there. It's a 40-minute adventure. Get ready to sweat! Before entering the cave, our guide led us in a short prayer. This welcomed us after a few steps in the cave. Awesome! Hear the sound of the rocks! That's why the rocks here are called Ugong! We then entered this cave. Climbing the steep rocks with the help of heavy-duty ropes. Not too hard. Best to wear sandals to avoid slipping. Careful! Some of the rocks are really sharp. My back got scratched. Exhausted! Group pic before doing any more climbing. The rewarding view from the top! There's alcohol and a first-aid kit ready in case you need it. Those who opt not to zipline going down can always go back down through the cave again. But I'd recommend going down the zipline for experience! Face your fears! All strapped and ready to zipline! I was really nervous! The "oh-em-gee" moment of our trip. I regret not buying the official photo souvenir. 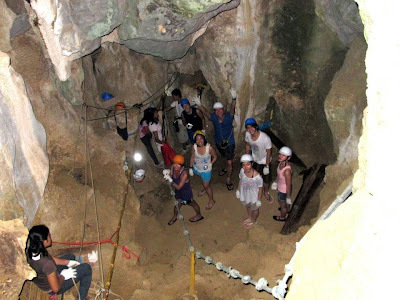 Ziplining and caving at Ugong Rock Adventures costs Php 450 per person. Gloves and helmets are inclusive already. For those who opt not to go ziplining, the cost is Php 250. This wasn't part of our tour package with the hotel. To view our itinerary, click here! 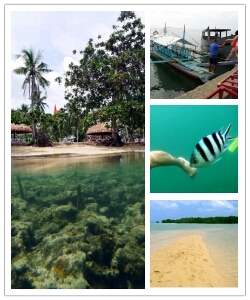 My friends and I probably got one of the best packages for accommodations and tours for our trip to Puerto Princesa. Consider staying at Duchess Pension Inn. Double bed with a bunk bed. I was by myself on the first night so I checked-in at the single room in Duchess. This is the cheapest room ever! Not bad at all! This was outside our group package, though. The single room had a fan. Bathroom was communal. Welcome gifts for everyone who checks in! I super love the rain stick! Sometimes, there were cockroaches in the room! While there are quite a lot of breakfast choices, this is generally what it looks like. Fortunately, there are a lot of tricycles outside the hotel. It's also a 7-minute walk to Rizal Avenue. Mobile: 0917-5530605 (Tricia) – SMS only! 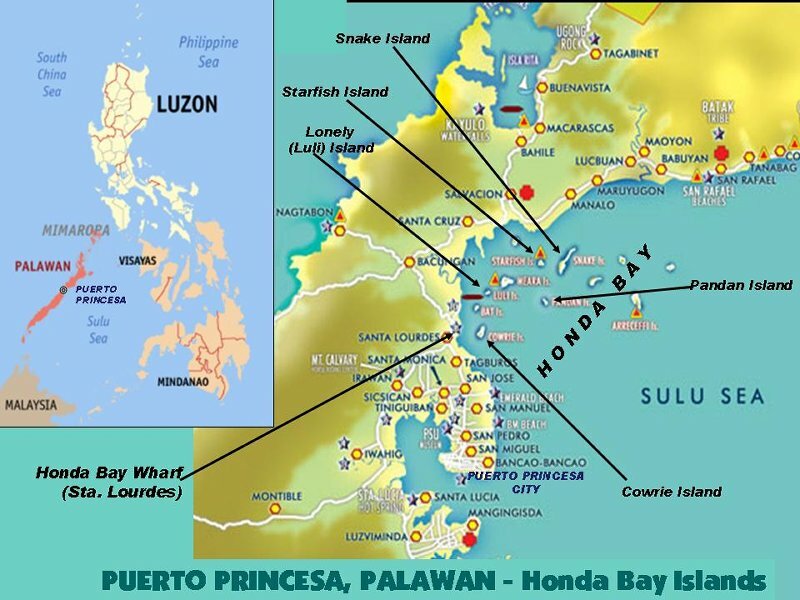 Touring the islands in Honda Bay is a must when in Puerto Princesa City. In the half-day tour, travelers get to experience swimming with colorful fish, lounging around a white sandy beach, and doing the catwalk on a narrow sandbar. Each stopover has its own unique charm. The Honda Bay tour takes more than half a day, which starts early in the morning and ends with firefly-watching at night. Travelers may opt to move the firefly tour to a different date if they're tired after all the swimming. Unfortunately, travelers won’t be able to visit all of them in a day. It’s a small and peaceful island where the water around is fairly shallow. This lets you see the colorful fish instantly. Just watch out for the huge sea urchins and the sudden drop in the ocean floor. Visitors can opt to have lunch there, though beware of flies. Look down while snorkeling in the protected area and you’ll see lots of colorful fish. Unfortunately, the corals are mostly dead. According to our guide, it takes a decade to produce an inch of corals! Do the catwalk along the narrow sand bar, get up close to the mangroves, or take a leap out into the ocean from the diving board. It’s a relaxing and fun way to end the day tour. Watch out for jellyfish! Lu-li is short for "lulubog-lilitaw"—which is what actually happens depending on the time of day. 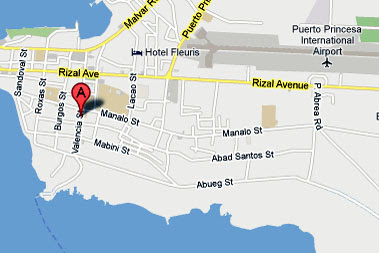 From Rizal Ave., it’s a 2-hour drive to get to the Honda Bay Wharf. A service van and tour guide is part of the tour package. This is where the tour guide takes care of securing permits, etc. There's a rest stop on the way there. 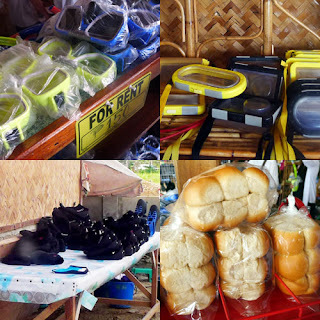 Travelers can rent snorkeling gear (Php 150), underwater camera cases (Php 200), and aqua shoes (Php 150). Bread for feeding the fish (or the travelers) is Php 15 a bag. Take note that the snorkeling gear is cheaper by Php 50 at the wharf itself. Since these weren’t on display, I'm just not sure how great these are. After a few minutes of waiting at the wharf, we boarded the bangka to start the tour!